Much like pieces of flotsam, our thoughts and emotions float all over the place, skimming, attaching and detaching from experiences, things, and people. For a while, we connect with something or someone, becoming dependent on each other for happiness and peace of mind. Our entire world is encompassed by that new connections and we give it the name of romance or love ­ every waking thought focusses on the person we thus connect to, every emotion cries out to be shared, and every moment seeks that special connection. The happier the moments shared, the stronger becomes the bond and dependence. We sugarcoat and push to the bottom a lot of reality we would rather not deal with. In most relationships, we are living an illusion, choosing to skim over the sootier bits ­ till reality strikes forcefully. As with the original umbilical cord, the time comes to be separated. We have fed enough on our experience with that person and both must move on in our individual journeys. This may or may not signify the end of a relationship, but it surely spells a tectonic shift. One moves on. Almost always this is not a conscious decision, but imposed and painful, as all separations are. However, the experience always leaves us wiser and richer ­ either because of the positivity it gave us, or the way its negativity strengthened us. And so, for a while, you get thrown out into the cold, till you gather yourself again and the healing begins. Soon you are ready to dive back into life again with renewed vigor and determination. However, what happens if a person gets stuck in that in-between stage, unable to overcome the pain ­ as happens so often? Rima Sharma (name changed) is one such person who has been writing to me frequently, unable to comprehend the ending of what she describes as a beautiful and deep relationship. She is particularly upset because the man she was involved with started another relationship while they were still together. It is to Rima that I promised this article. How nice it would be if she could control her memories and emotions and pull herself out of the painful situation. It is possible if she understands that emotions can be anchored and controlled. But how do you mend what you consider your broken heart? 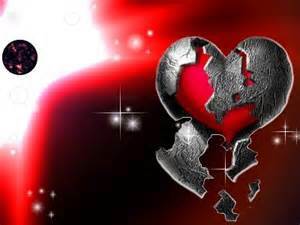 Well, to begin with, it is important to understand that the heart never gets broken; it may get chipped, but most often the chip you are dealing with is on your shoulder. It is your ego that takes a beating; it is a betrayal of faith that you cannot handle, an attachment to the happy memories that refuse to let go. You grab at straws that have floated away. You demean yourself -and then all at once, one small incident serves to wipe away the thin film of illusion that covers the reality underneath -and all the crap comes tumbling out. You have finally faced reality and are ready to push aside the pain and move on. The secret then to moving on is to focus on what was always wrong with the relationship, rather than what was good about it. It was bad for you, so it broke; relationships that are good for us seldom break in this manner. Once you understand this, it’s easy to bid a final goodbye ­ because deep within, you always knew how the land lay! And now, rid of the negativities, you realize all the good stuff you were blocking from your life by focussing on a vampire relationship that took more than it gave. The rest of the tricks to moving on are known to all ­ immerse yourself in work and hobbies; hang out with friends; count your blessings; list the things and people important to your well-being; boost your morale, and re-energize yourself by looking your best, walking your tallest and acting you are most confident. Forgive the one who betrayed you, but does not forget the betrayal. Give up on the relationship ­ but never give up on love.